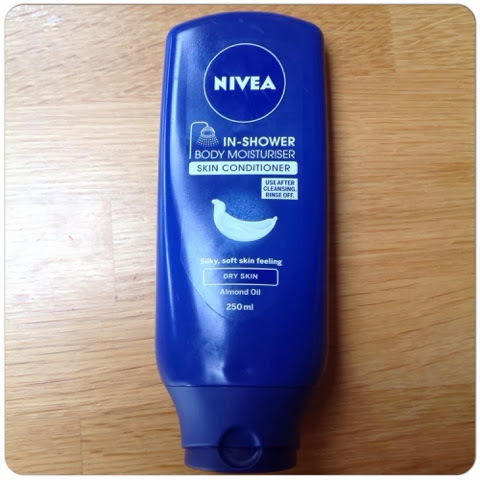 The newest offering from Nivea, an in shower body moisturiser/skin conditioner. This product definitely intrigued me from the ads on tv - it seemed to be a less messy, less sticky version of Johnson's baby oil. And it is!! This stuff is great! Now don't confuse it with a body wash, it's purely a moisturiser so you use it after your usual washing/shaving routine. 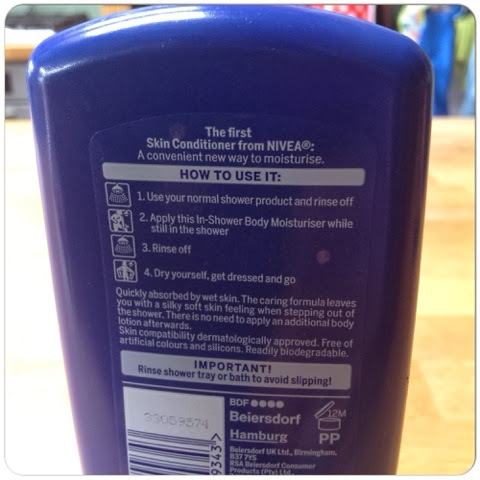 The instructions are very simple; use body wash as normal, rinse, apply in shower body moisturiser, rinse off, go. 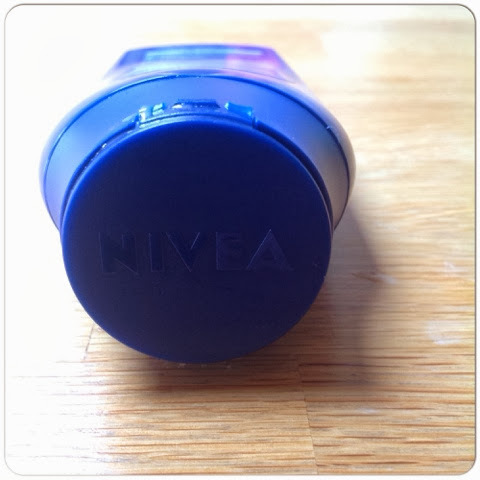 It has a really nice consistency - thinner then a conditioner but much thicker then an oil, so it soaks into the skin very nicely and quite quickly and definitely leaves you feeling moisturised. The best bit is you just rinse it off and go ahead and get dressed without having the usual sticky/slimy residue from a baby oil or after shower moisturiser! You can tell some of the product is still there (I rinsed off I didn't scrub with gloves or a loofah or anything), but it is only enough to let the moisturisation keep working, your skin simply feels smooth and not all covered in product! The only con about this is having to turn off the shower or stand awkwardly in the corner with the shower head facing the other way as you apply it (in the ad they turn off the shower) to make sure it doesn't get rinsed off before it even touches your skin! To be honest though it's on so quickly and can be rinsed straight away so that didn't bother me all that much. I'd definitely recommend this, even as an extra moisturiser for the winter months when our skin can get very dry and needs a bit more care. Can i use any other shower product like GARNIER or any other? what do you think?